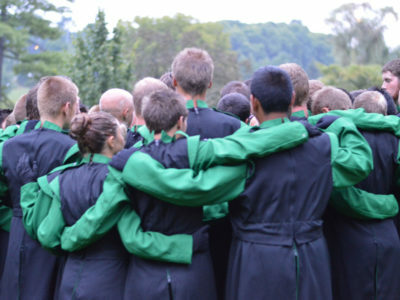 Drum corps organizations thrive in winter marching activities. The colder weather is no reason for drum corps members to stop practicing and competing. 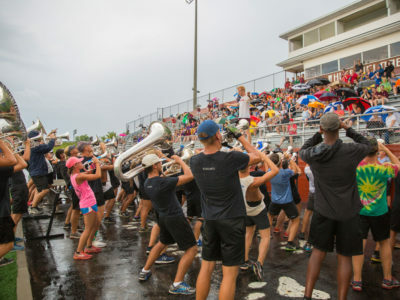 In this winter marching season, well-established drum corps such as the Blue Knights and Music City have launched groups for indoor winds, following in the footsteps of several other corps that have done the same in the past few years. 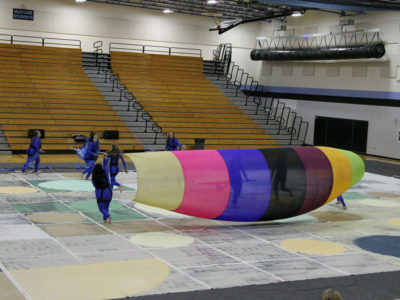 Many corps also operate winter guard and indoor percussion groups, allowing enthusiastic youths to continue participating year-round. 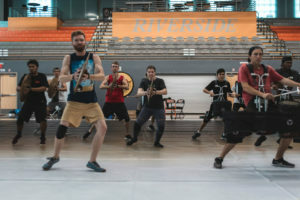 Since indoor groups are smaller than their outdoor counterparts and compete in gyms or basketball arenas instead of football fields, performers have a more intimate experience, reflected in the artistry of the show as well. 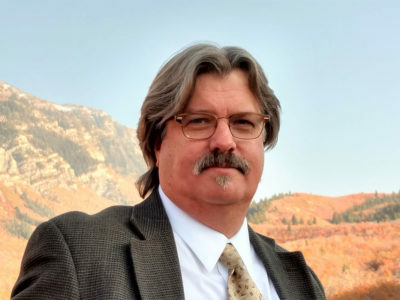 “Both [venue and size] greatly affect the design musically and visually,” says Gregory “GM” Kuzma, director of operations for Ascend Performing Arts in Aurora, Colorado. 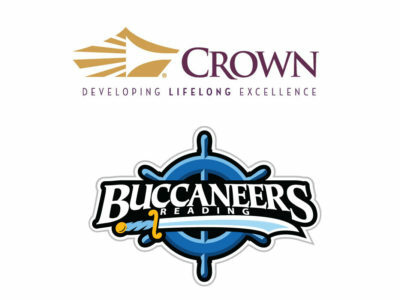 Ascend Performing Arts is the umbrella organization that operates the Blue Knights Drum and Bugle Corps, the Blue Knights Percussion Ensemble, and its newest group, the Blue Knights Winds. Certain indoor groups don’t have age limits for their members, which can make the average age of a winter participant significantly older than summer participants. 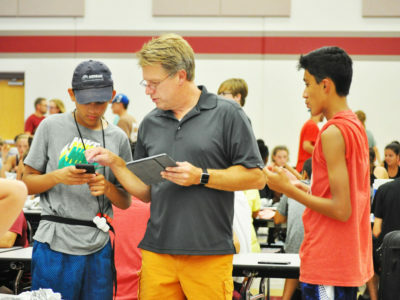 Crossmen Winds, now in its third season, has no age limit, and sometimes its members are much older than what is common for drum corps. 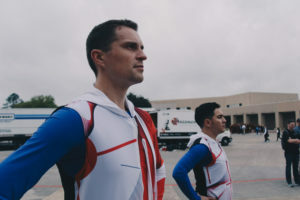 “Last year, Crossmen Winds was made up of many local band directors,” says Natalie Steele, director of development and communications and appointed CEO for Crossmen Productions in San Antonio, Texas, the parent organization for the drum corps and winds group. By comparison, members of the Blue Knights Winds and Blue Knights Percussion Ensemble tend to be younger. 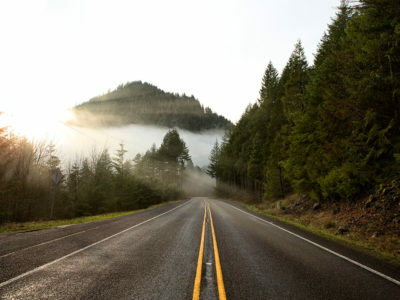 Other organizations find that both indoor and outdoor groups attract members of the same age, typically those in their early 20s. Each indoor group creates its own schedule to best meet its goals, but all groups that practice during the winter have one thing in common: They schedule everything indoors because of the chilly weather. In some cases, indoor directors need to procure even more space than just gymnasiums. Participants’ other extracurricular activities may cause difficulties for directors when creating their practice schedules. 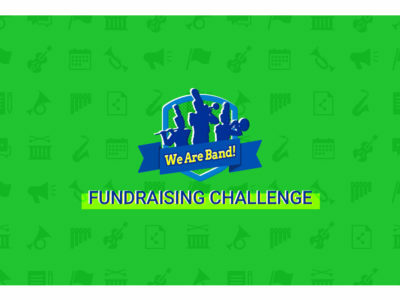 “One of the biggest challenges for winter groups that rehearse exclusively on the weekends is the variety of potential scheduling conflicts with school activities, such as honor band clinics and school musicals,” Hall says. 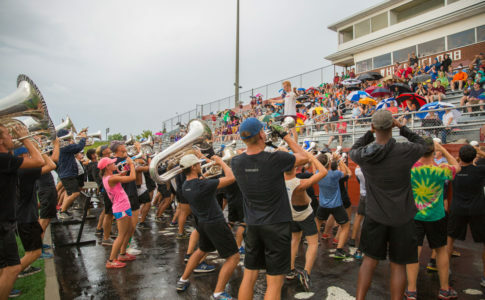 Some performers participate year-round with drum corps organizations while others are only involved during the winter. Several factors may influence why some members only perform with indoor groups. Those who are serious about competition prefer not to take the season off, so participating during winter is the obvious choice. 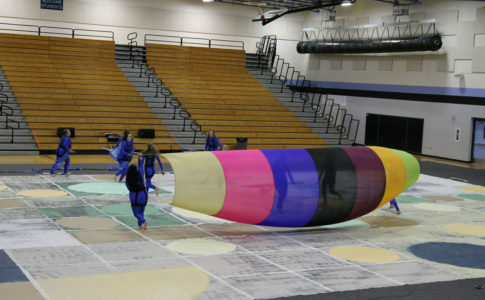 Best known for fielding the 18-time champion Blue Devils Drum and Bugle Corps, BD Performing Arts partnered with neighboring Riverside City College to operate its indoor percussion program, which has won the WGI Independent World championship six times. 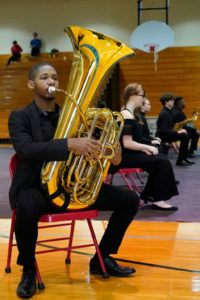 Many young musicians and guard members are eager to perform with world-class groups. 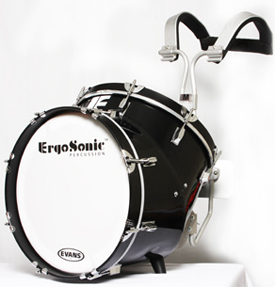 These indoor ensembles founded by established drum corps give them the option of following their passion year-round. 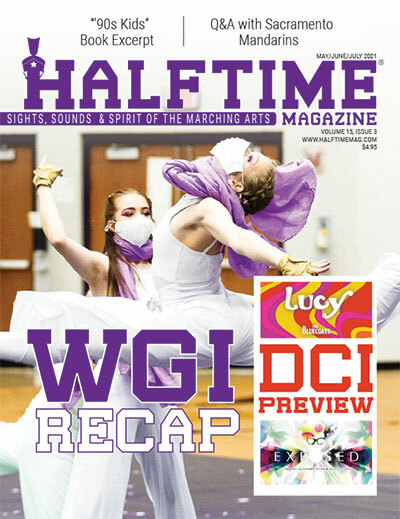 Some indoor groups have a long, established history competing in WGI Sport of the Arts; others are just starting out. 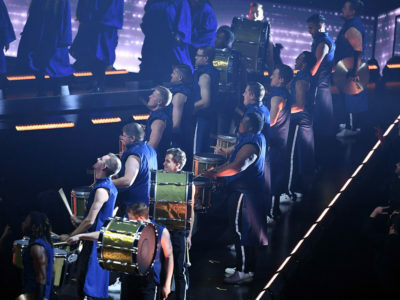 For example, the Blue Knights Percussion Ensemble, an Independent World Class group, has been four-time champions through WGI and 24-time state champions through the Rocky Mountain Percussion Association. 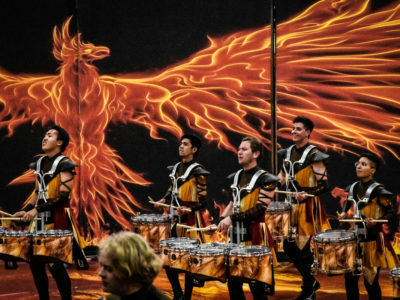 “The Blue Knights Percussion Ensemble started in 1993 and is the longest-running Independent World Class percussion ensemble in the history of WGI,” Kuzma says. By comparison, many winds groups have existed only a few years since the winds category was launched in 2015. Corps across the nation are still forming new winds groups to meet demand. Regardless of whether they are members of percussion, winds, or guard, youth who join indoor ensembles learn important life lessons, including the importance of teamwork and acceptance. Feature photo courtesy of Ascend Performing Arts. Photo of Music City Winds courtesy Chris Carroll. Photo of Crossmen Winds courtesy Rico Gomez. 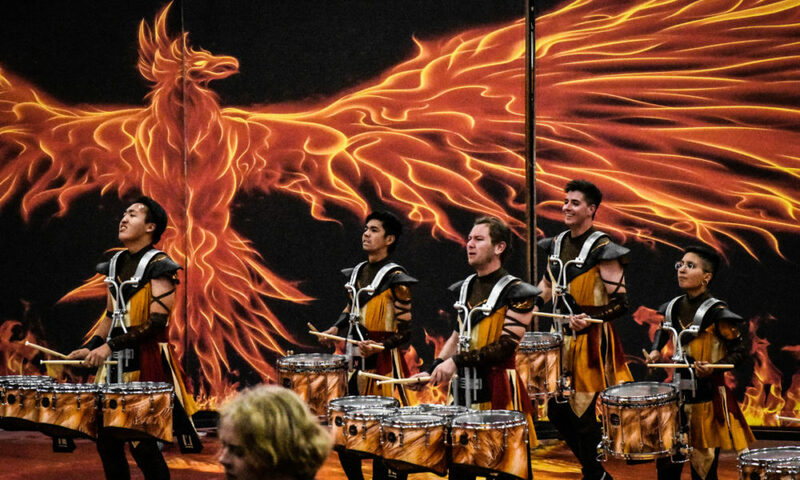 Photo of Riverside City College Indoor Percussion courtesy Devon Asmus.